Here’s where you’ll find all sorts of goodies and website exclusives – sneak peeks, giveaways and other stuff you won’t find anywhere else. Join the celebration of CADENZA’S BIRTHDAY here. 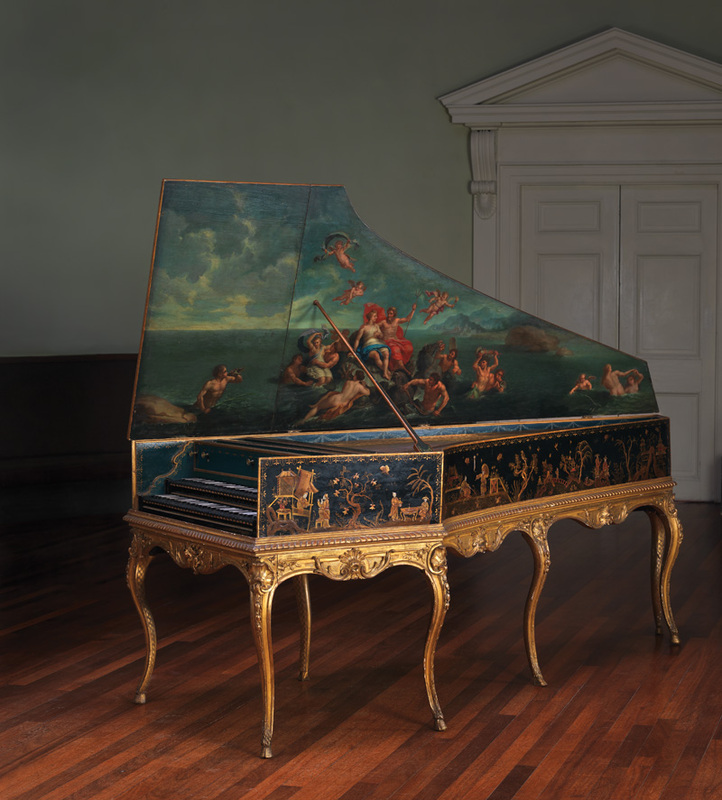 Click on the harpsichord to drop into Wynstanton House for a short taste of Julian’s debut recital. The concert isn’t as long as you might think – just over 80 minutes in all. I’ve included the catalogue numbers where possible for those interested in listening to the pieces on YouTube. Virtually all of them can be found there – many, such as the Scarlatti sonatas and both Royer pieces, played by wonderful Jean Rondeau. 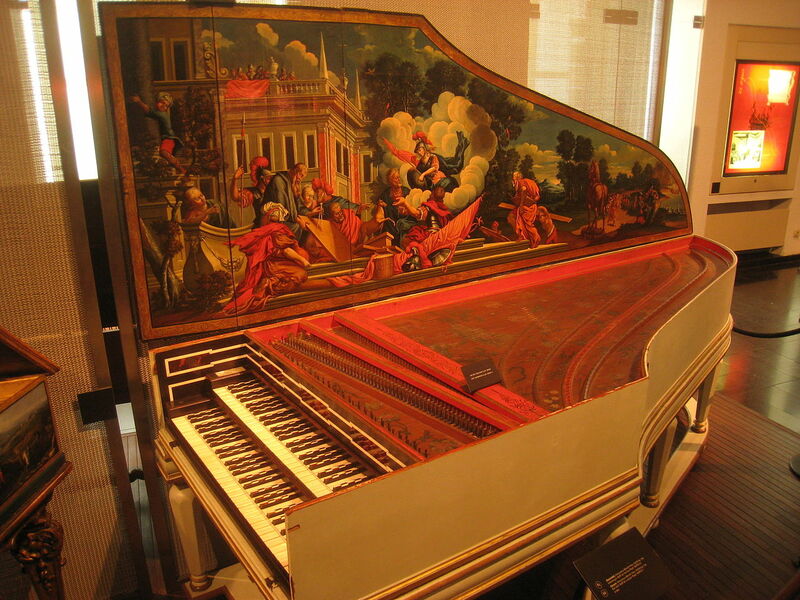 The Bach Fantasia, of course, is here in the next post. However, since (oddly enough!) Julian’s solo arrangement isn’t available, you can only hear the Johann Christian Bach Andante in its ensemble form … but try it anyway. You won’t be disappointed! Dread paralysed him. For twenty years, he had practised for five hours a day – often more. 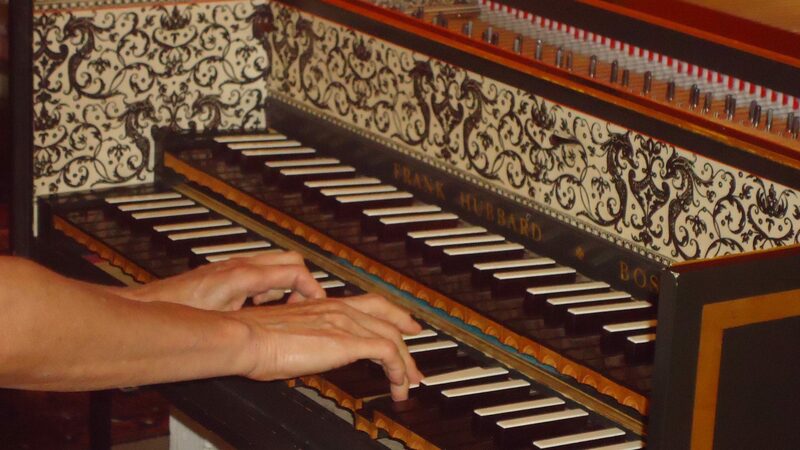 He had no idea how even a week without playing a note could impair his ability – let alone six months. He’d told Paul he couldn’t play in front of anyone; but that wasn’t the problem. What was stopping him now was the mind-numbing possibility that he wouldn’t be able to play at all. He shut his eyes, lifted his hands and plunged, without pausing to think, into Bach’s Fantasia in C minor. And the world which had been off-key for so long … so very long … was suddenly in tune again. 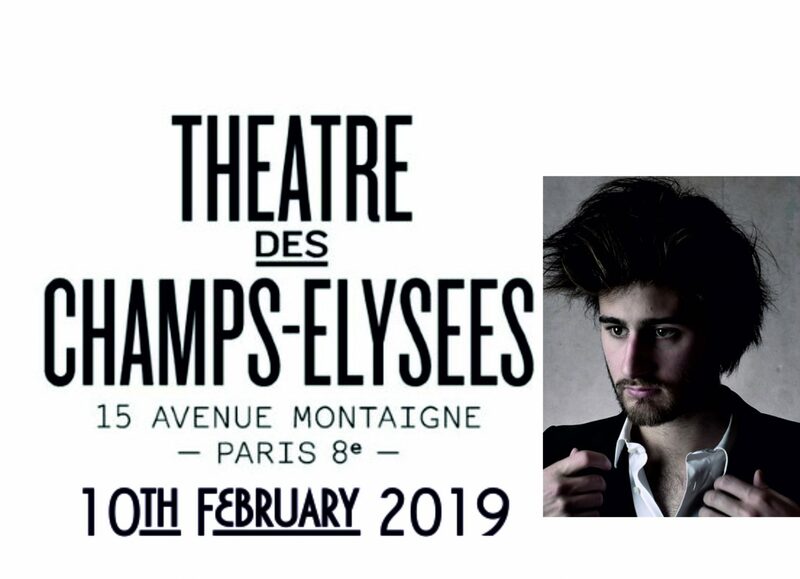 Jean Rondeau is a young, French harpsichord virtuoso with four brilliant albums to his credit – and, in certain respects, he is uncannily like my Julian Langham. 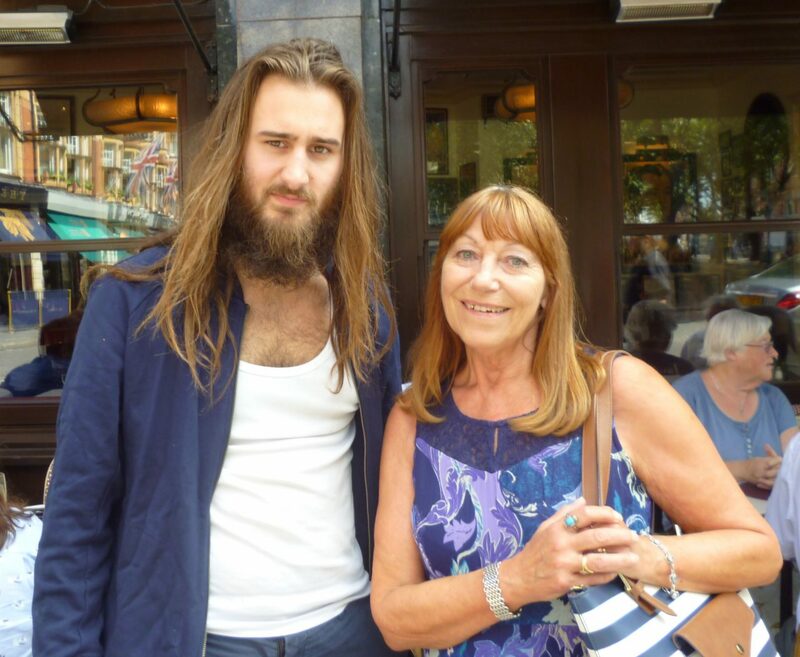 I was lucky enough to meet him prior to his concert at the Cadogan Hall in July. He was utterly relaxed and perfectly charming; as for his performance – it was electric! I know I said we’d visit Vauxhall next but a single fact about the Pantheon made it stand out (to me, at least!) so it has taken precedence. Designed by James Watt, the Pantheon stood upon the Oxford Street site currently occupied by Marks & Spencer. 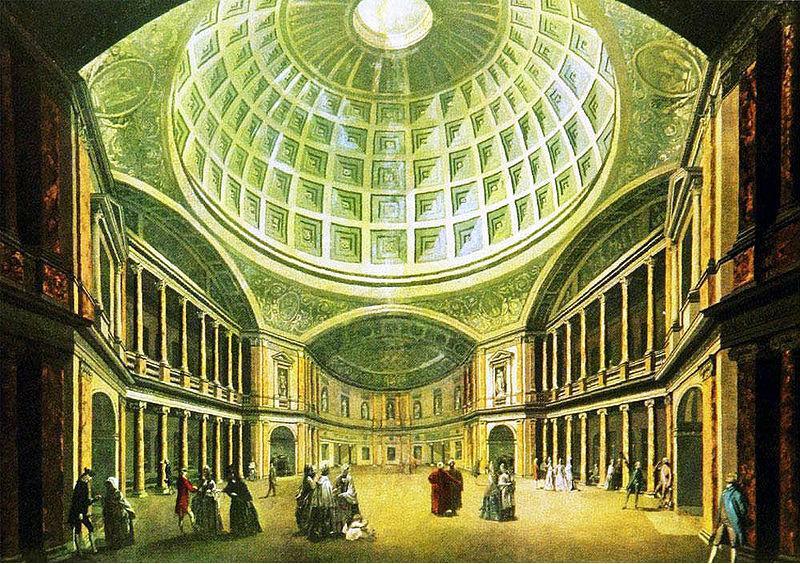 Unlike Vauxhall and Ranelagh, it was a set of winter assembly rooms which Horace Walpole described as “the most beautiful edifice in England.” Building costs were just short of £37,000 and the Pantheon opened its doors in January 1772 – with 1700 members of high society paying £50 for a first night ticket. Now … here’s the place where you’ll have to excuse a brief digression. 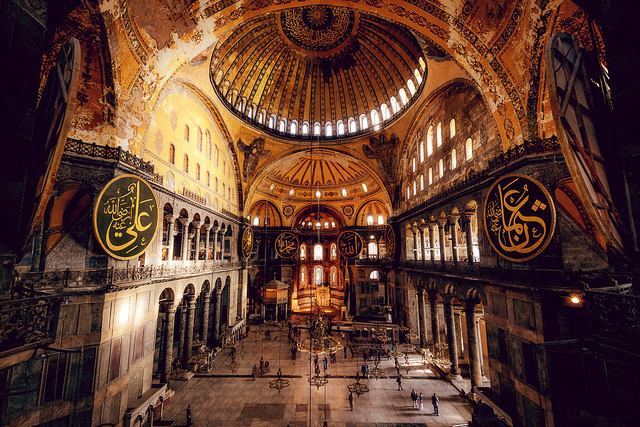 It’s generally accepted that the inspiration for the rotunda of the Pantheon was Hagia Sofia (pron. Aya Sofia) in Istanbul. 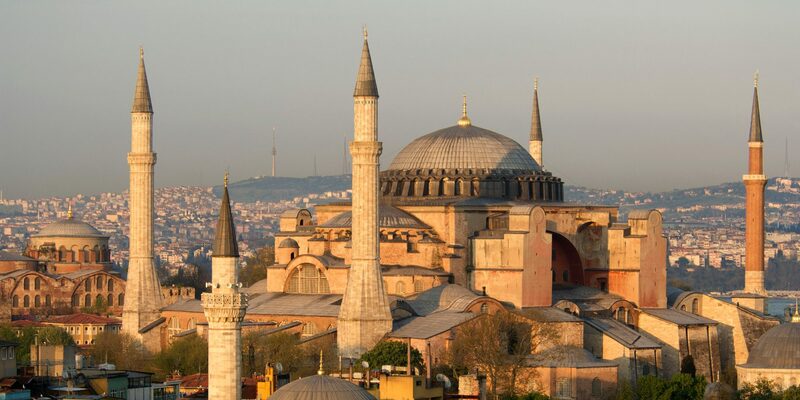 It was built as a church by the Emperor Justinian in around 535, turned into a mosque in 1453 when Constantinople fell to Mehmet the Conqueror and is now a museum. Externally, Hagia Sofia isn’t the prettiest mosque in Istanbul. Compared to the Sultan Ahmet, just a short distance away, it looks almost clumsy and yet it is that very solidity that has kept it in one piece through fifteen centuries. However, walk into the vast, beautiful space within as James Watt must have done … and it’s not difficult to understand why he was seized by the ambition to create something similar. When it first opened, it hosted only thrice-weekly assemblies without dancing or music. 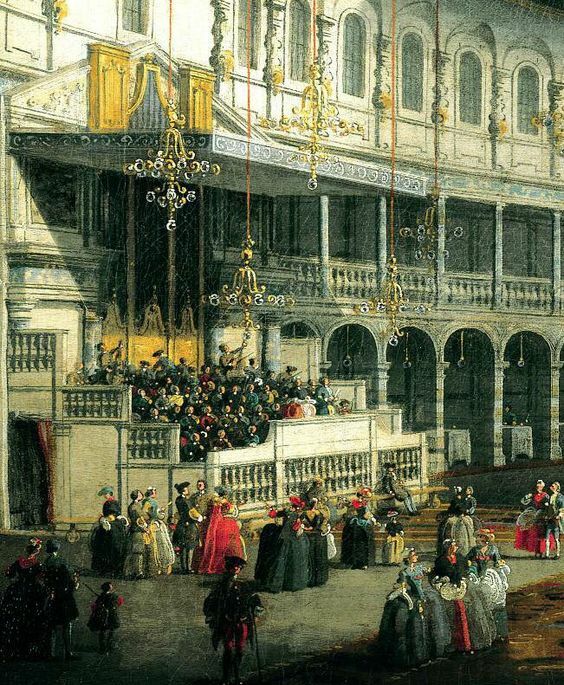 Soon, however, there were also concerts and masquerade balls – such as the ball attended by Adrian and Caroline in The Player and the recital given by Julian Langham in Cadenza. 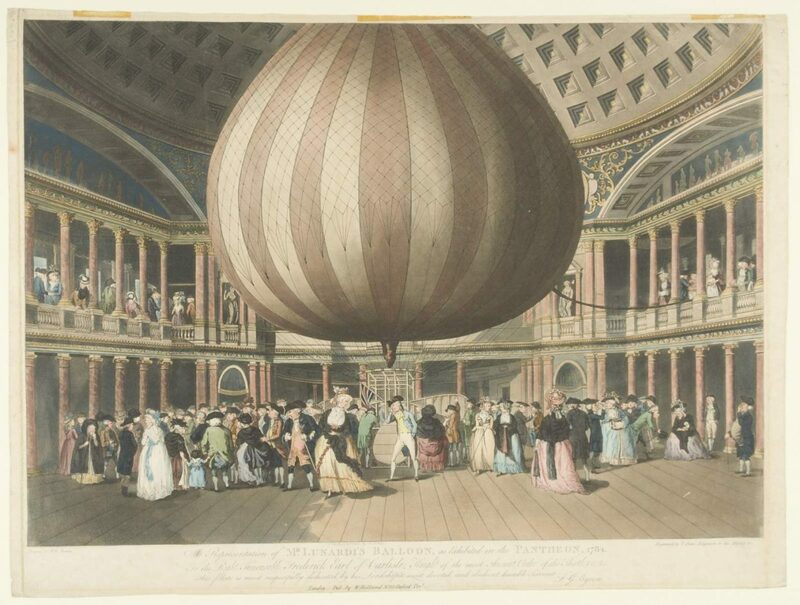 Among various notable events which took place there, the most bizarre is probably the exhibition of Lunardi’s balloon – shown fully inflated inside the Pantheon shortly after his 1784 successful 50 mile flight to Hampshire. 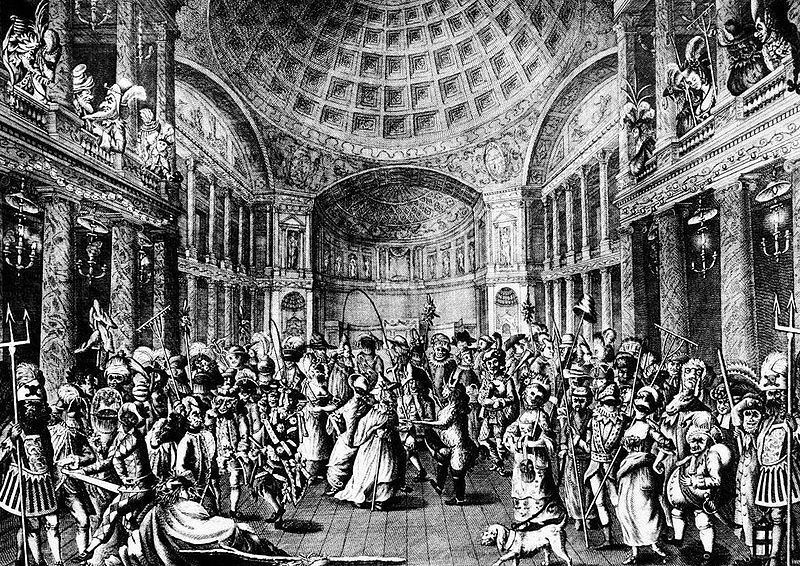 But despite this, popularity appeared to decline during the 1780s and, after the King’s Theatre, Haymarket burned down in 1789, the Pantheon was converted into an opera house. Sadly, its new incarnation was short-lived; in 1792, like the King’s Theatre, it too burned to the ground. LET’S HAVE A NIGHT OUT – GEORGIAN-STYLE! Although Rockliffe and Amberley prefer to avoid London’s pleasure gardens, they were popular with the younger set and we’ve enjoyed evenings with them at Vauxhall, Ranelagh and the Pantheon. These three weren’t the only pleasure gardens. There were numerous others – Marylebone, Islington Spa and Sadlers Wells, for example. But Ranelagh was the first one to challenge the long-held supremacy of Vauxhall … so I thought we’d start there. It occupied the site of the former home of the Earl of Ranelagh and opened in 1742. The rotunda alone was a marvel. Spanning 150 feet and supported by walls 17 feet thick, its vast, domed ceiling dripped with massive crystal and gilt chandeliers. And the central structure with its marble columns and gilded caryatids – originally meant to hold the orchestra – became a massive fireplace to combat the damp and chill of typically English summer evenings. Admission price was half a crown … which may not sound much these days but was probably substantial enough to keep the riff-raff out. One account tells us that Ranelagh was frequented by ‘the elite of fashion’ and gentlemen sporting powder, wigs, ruffles and gold-headed canes. ‘Cropped heads and shoe-strings’ were apparently denied entry. Ranelagh was also considered more respectable than Vauxhall … but I think it’s safe to assume that there were as many goings-on in the shrubbery there as anywhere else. Parties of up to eight persons could take supper in one of the hundred-and-four boxes whilst listening to the concert. Later, there would be dancing. Or one could stroll through the gardens to the Temple of Pan or wander along the Great Walk where reflections from lanterns in the trees danced on the surface of the canal. The Ranelagh Regatta and Ball was the high-light of 1775. The Thames became something like a floating town, teaming with pleasure boats, gaming tables and vendors selling food and drink. Scaffolding lined the river-bank to hold spectators of the boat race – the start of which was signaled by cannon fire and the whole event culminated in an extravagant firework display. I like to think a jolly good time was had by all and would have loved to see Ranelagh myself. The New Spring Gardens opened in the summer of 1661 – just a year after the restoration of King Charles ll – on the south side of the River Thames. John Evelyn described it as a prettily-contrived plantation of flowers, fruit-trees and hedges of gooseberry bushes. The Spring in the garden’s name refers to concealed jets of water, rigged to surprise the unwary for the amusement of dry onlookers. 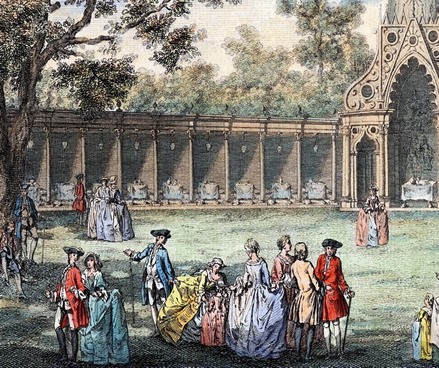 This jolly idea originated at Versailles and was copies at Peter the Great’s palace of Peterhof. I’ve seen the latter ones in action – and, trust me, they can soak you! From 1729, managed by Jonathan Tyers – property developer, impresario and patron of the arts – the gardens grew into one of the most complex and profitable business ventures of the eighteenth century in Britain. 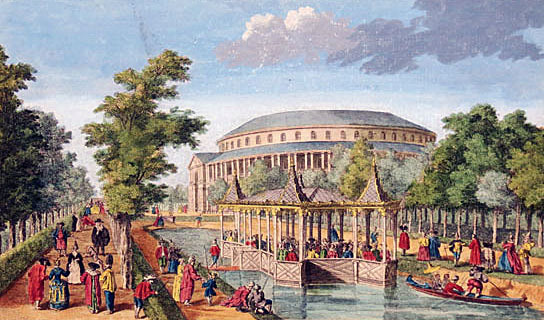 In 1785 the name Vauxhall Gardens became official. In 1792, the admission fee was two shillings and the gardens attracted all manner of people eager to see the tightrope walkers, hot-air balloon ascents, concerts and fireworks. 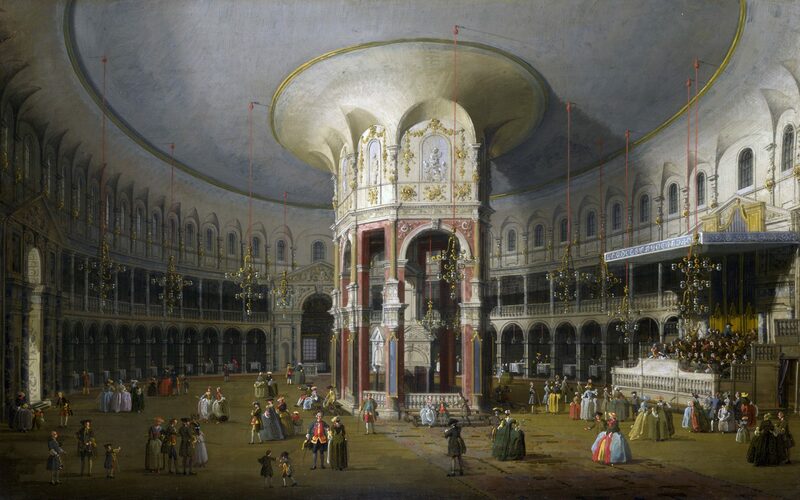 The “Turkish tent” and the interior of the Rotunda became one of its most popular attractions. The main walks were lit at night by hundreds of lamps. Over time more features were added: additional supper boxes, a music room, a Chinese pavilion, ruins, arches, statues and a cascade. Smaller, unlit walks were popular with those visitors who weren’t there to view the many attractions. In 1749, a rehearsal for Handel’s Music for the Royal Fireworks attracted an audience of twelve thousand. 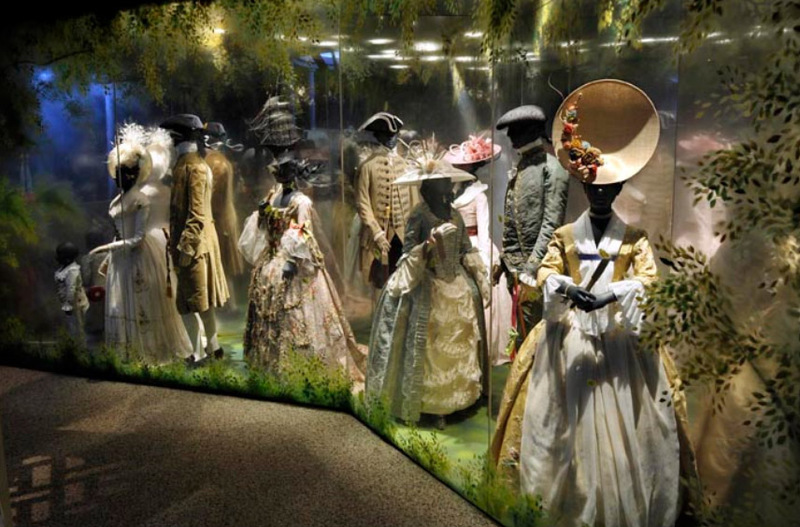 In 1786 a fancy-dress jubilee attracted sixty-one thousand revellers. And in 1817, a thousand soldiers took part in a re-enactment of the Battle of Waterloo. 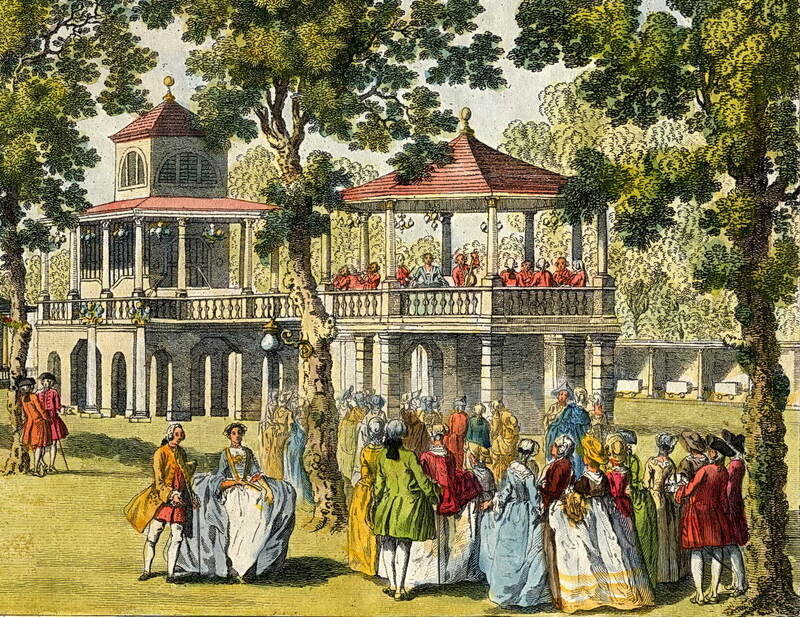 Vauxhall Gardens closed in 1840 after its owners went bankrupt but re-opened in 1841. It changed hands in 1842, and was permanently closed in 1859. 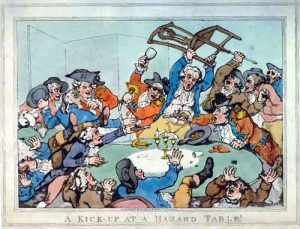 HAZARD How to play the game – plus some useful advice! The dice game, Hazard was immensely popular with Georgian gamblers. However, if you’re not a member of Sinclairs (see Rockliffe books 3, 4 & 5) and are planning to play in one of the less respectable houses – or even a hell – it’s worth taking a quick course in the correct lingo. You wouldn’t want to be thought a flat or a bubble because this might result in you being targeted by a mace cove or a nickum – which, in turn would almost certainly see you thoroughly dished up or, worse still, lurched. So here are a few things you need to know. The person rolling the dice is the caster. A winning throw is a Nick in and a losing one, a Throw out. Don’t forget that the correct call for throwing a double-one is Crabs! because if you mistakenly shout Snake-eyes!, fellow-players will assume you are either a chub or a foreigner. Hazard is about luck, not skill. It uses two dice and can be played by any number of people. The first Caster rolls the dice until he (or she) throws a Main – that is to say, a number between 5 and 9. This done, everybody else bets on whether or not he will win his next throw. And this is where is gets complicated – or so it seems to me. If anyone can explain the logic behind these winning and losing combinations, I’ll be delighted to hear from them. If the Main is a 5, only another throw of 5 will win. 2, 3, 11, 12 will all lose. If it’s a 6, a throw of 6 or 12 will win. 2, 3 and 11 lose. 7 … then 7 or 11 win. 2, 3 and 12 lose. If it’s a 9, only 9 will win; 2, 3, 11 and 12 all lose. The caster carries on throwing until he achieves either a winning or losing combination – after which the dice move on to the next player. Personally, I don’t think it’s difficult to see how arguments and fights might break out! Thanks to his own memoirs, far too much is known about Casanova for me to cover his remarkable life – writer, philosopher, alchemist, traveller, spy and lover – in detail. So here are some random snap-shots. He was born in Venice but went to university in Padua where he got a degree in law and developed an interest in medicine. 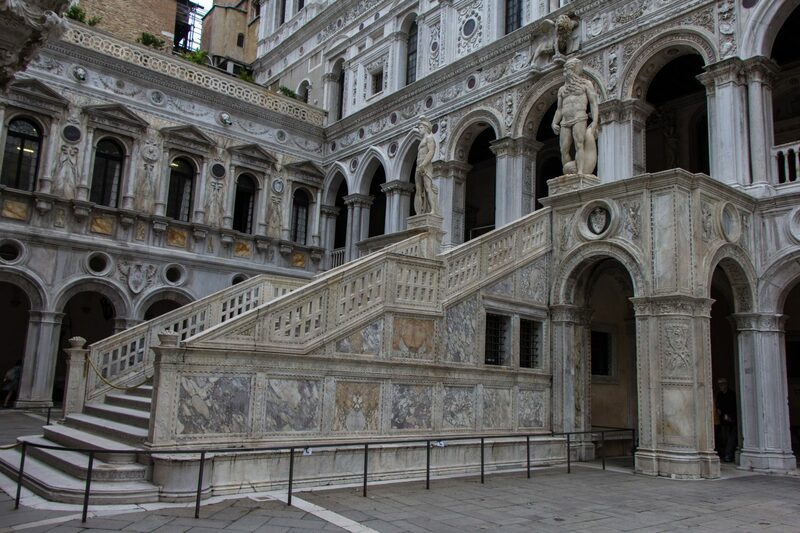 Once back in Venice, he found the first of many patrons – a Venetian senator – and he worked as a clerical law assistant. Soon bored by this, he decided a military career would suit him better and, already being something of a dandy, he decided to begin by dressing the part. My uniform was white, with a blue vest, a shoulder knot of silver and gold… I bought a long sword, and with my handsome cane in hand, a trim hat with a black cockade, with my hair cut in side whiskers and a long false pigtail, I set forth to impress the whole city. He found military duty as tedious as clerical work and he lost most of his pay playing faro. 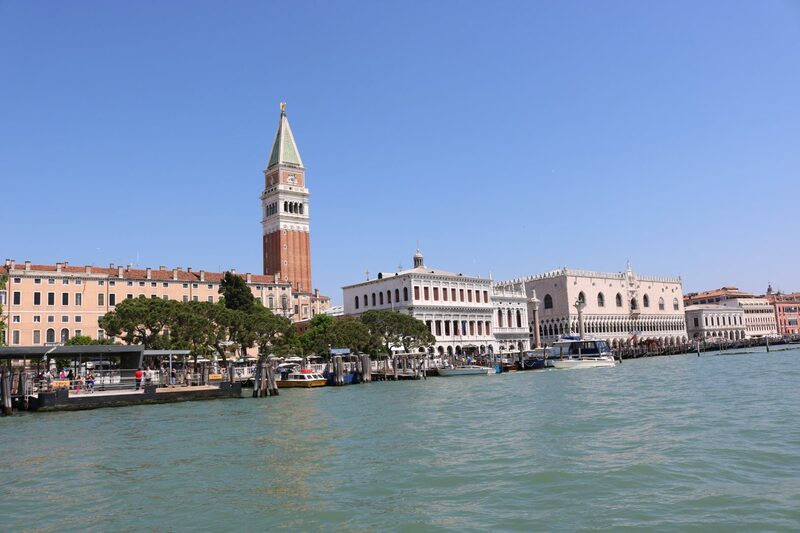 So he left the army, returned to Venice and decided to become a professional gambler – which soon left him destitute. He took work as a theatre violinist, during which he and his fellow musicians amused themselves with practical jokes such as untying the gondolas moored before private homes. The taste for practical jokes was to prove unfortunate. Having just acquired another wealthy patron his next merry jape involved a freshly dug-up corpse which frightened the victim into permanent paralysis … and sent Casanova fleeing to Parma. So what of the amorous adventures he is so famous for? Well, these had started early. Giacomo was six feet two inches tall, dark-haired, intelligent and liked to dress well. One presumes he also had charm and considerable talent – as well as stamina – in the bedroom. While in Parma, he had a three-month affair with a Frenchwoman named Henrietta. This may actually have been true love. They who believe that a woman is incapable of making a man equally happy all the twenty-four hours of the day have never known an Henriette. The joy which flooded my soul was far greater when I conversed with her during the day than when I held her in my arms at night. The next few years were ones of travel; Paris, Dresden, Prague and Vienna to name but a few. In all of these, he was known for his numerous liaisons and his debts. Returning to Venice in 1755 he was arrested for affront to religion and common decency, sentenced to five years and imprisoned on the top floor of the Doge’s Palace. He was placed in solitary confinement, where he suffered from lack of light, summer heat and fleas. (It’s worth remembering that Casanova was over six feet tall. Look at the height of the ceiling in his cell!) His first escape plan was thwarted when he was moved to a room with a view. But he and the priest occupying the cell next to his own soon hit upon another. 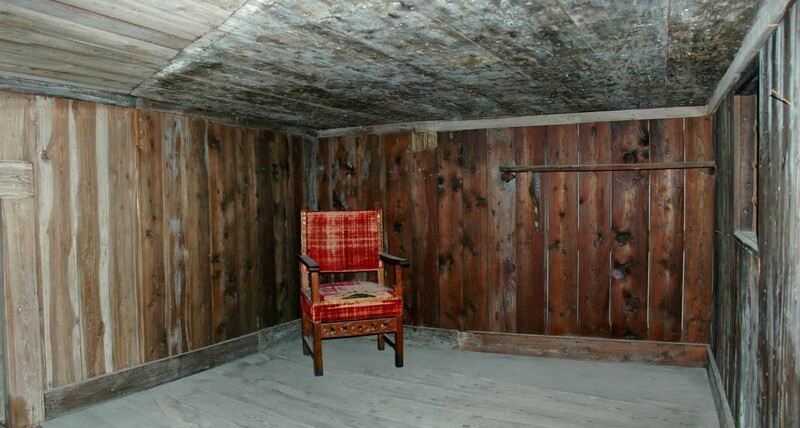 The priest made a hole in his ceiling, then climbed across and made a hole in the ceiling of Casanova’s cell. The pair of them then pried their way through the lead plates and onto the roof of the palace. They had hoped to drop into the canal but decided the distance was too great. So Casanova broke open a dormer window and they climbed back inside. Resting overnight in one of the palace’s great chambers, they changed their clothes and strolled through corridors and galleries until they found the stairs to the ground floor. Here, they convinced the guards that they had been accidentally locked inside the palace after an official function … and walked brazenly out through the front door. Thirty years later, Casanova wrote The Story of My Flight, which was reprinted in many languages. His own view of the exploit was, I am proud of it; but my pride comes from my having concluded that the thing could be done and having had the courage to undertake it. He fled to Paris where he raised funds for the French treasury (and made a fortune for himself) by setting up the first state lottery and being one of its best salesmen. Later, he tried selling the same idea in England and Russia but without success. 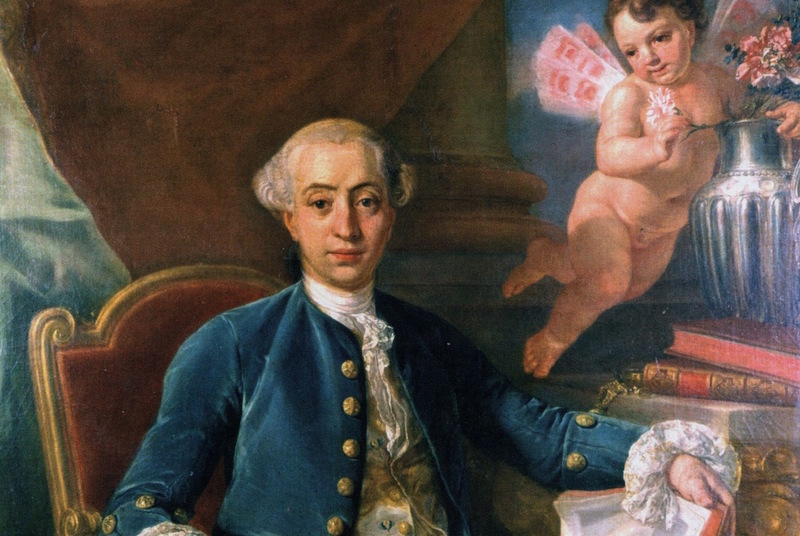 After Paris, Casanova travelled constantly – often on spying missions for one country or another. He visited Amsterdam, Cologne, Genoa, Rome, Turin, London, Moscow, St Peterburg, Barcelona and Warsaw – and many other cities. He also has the unique distinction of having been thrown out of a good many of them, thanks to his numerous affairs, his debts and his dabbling with the occult. 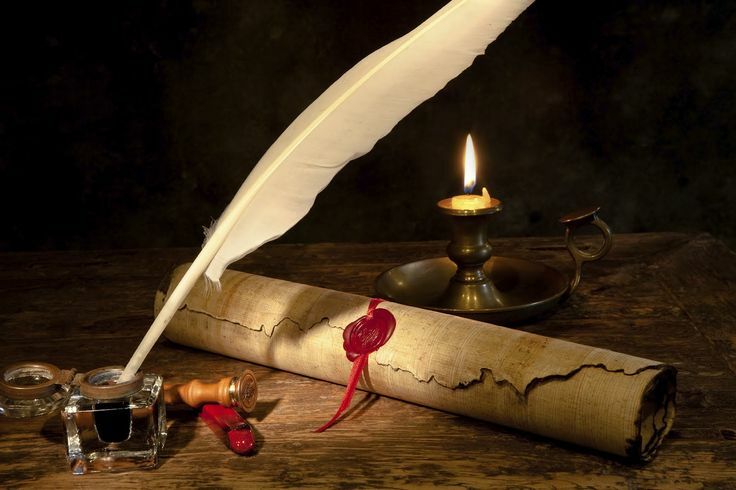 But along the way, he met many notable figures; Madame Pompadour, Rousseau, Voltaire, Frederick the Great of Prussia, Catherine the Great of Russia, George lll of England, Charles lll of Spain, Benjamin Franklin and Canaletto. In 1774, the Venetian authorities finally gave Casanova permission to return home – where everyone, even the Inquisitors, wanted to hear how he had managed to escape from prison. But in 1783, after writing a vicious satire about the Venetian nobility, he was expelled again. This time he travelled to Bohemia and became a librarian in the Castle of Dux. He lived comfortably … and alleviated the tedium of his last years by writing his memoirs. Casanova died on June 4, 1798 and was buried at Dux … but the exact location of his grave had been forgotten over the years and remains unknown. However, the first and only Casanova Museum & Experience is now open in Venice at the Palazzo Pesaro Papfava – and it’s well worth a visit.